Yakuza 0 save file can be imported. Use this mod to remove cutscenes letterbox on non-16:9 resolutions. Exploration and Combat FOV can be adjusted separately in the graphics.ini config file. FXAA, up to 8x SSAA. Uncapped, but Pocket Circuit races cap at 60 FPS for physics stability. Quick time events require double the inputs compared to 60 FPS. Toggles for black bars, depth of field, SSAO, and bloom presets. 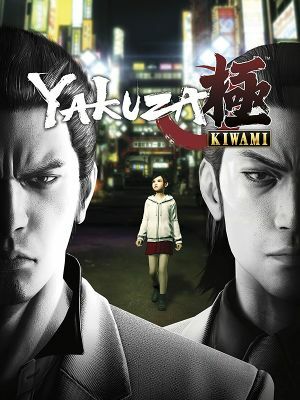 See Helix Mod: Yakuza 0 - Kiwami. Tools for modding the PC version of Yakuza 0 and Kiwami. Restores two songs "Receive You [Reborn]" and "BLEED" by Japanese singer "Koshi Inaba". Restorations pertain to the game's intro cutscene, another cutscene very early in the game and the game's ending credits scene. Download Yakuza Kiwami Licensed Music Restoration Patch. Unpack the files to the installation folder and overwrite when prompted. ↑ 1.0 1.1 File/folder structure within this directory reflects the path(s) listed for Windows and/or Steam game data (use Wine regedit to access Windows registry paths). Games with Steam Cloud support may store data in ~/.steam/steam/userdata/<user-id>/834530/ in addition to or instead of this directory. The app ID (834530) may differ in some cases. Treat backslashes as forward slashes. See the glossary page for details.